Win a Trip for Two to Melbourne! 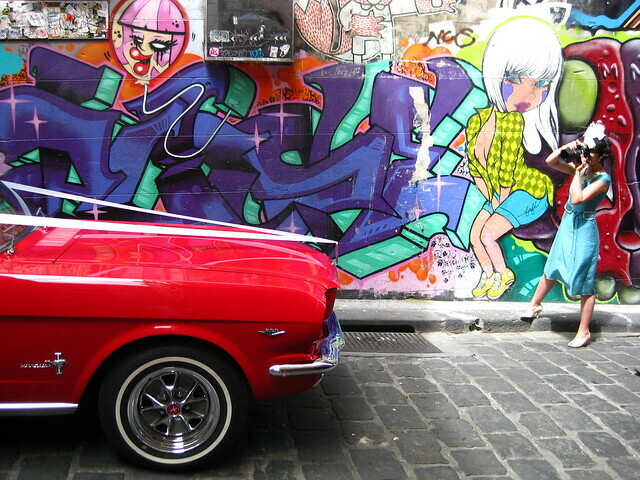 It’s early days, but if I could steer the STA Travel Blog into emulating one city, it would be Melbourne. Why? Because it’s unpretentious from the ground up, and friendly on the eye. It’s made up of optimistic people, and fuelled by a cocktail of offbeat, functional, and fresh thinking. I don’t want to use the word ‘cool’; but I just did, because let’s face it: Melbourne. Is. Cool. So I’d like to send you and a friend to Melbourne, to experience life in one of my favourite cities in the world. Take a look for yourself. Here’s how to enter: let me know in the comments which shot of Melbourne or the surrounding area stands out to you from the following Pummelvision clip, and why, and we’ll randomly pluck a winner right out of the comment thread. Two places on the Moonlight Kayak Tour. Two places at the Neighbours Trivia night. Two places for the Great Ocean Road Experience. Two places on the Penguin Parade and Koala Highlights day tour on Phillip Island. Give your eyes a pat on the back, they’ve just been pummelled by Melbourne and the surrounding area’s best-loved spots, including a few hidden secrets. I can sense that you’re primed to try and win that trip to Melbourne, for you and a friend. Don’t forget to include your email address in the appropriate field (it won’t be published, or used for any marketing), so that we can contact you if you win. If you don’t leave a valid email address (or leave it blank) we cannot contact you, so we’ll regretfully have to do a redraw. I’ll feel pretty bad for you if this happens, but you’ve been warned. But don’t worry, we will never use this email address for anything other than contacting you if you win (if you’re sad about that, you should sign up to our newsletter).